Competing with more than 500 apps in the App Store or Play Store is like every app owner’s dream! But is just creating an app, uploading it to the stores, and a few downloads will make your app hip-n-happening? – Naah! What you need is an app launch strategy. As of January 2017, there are more than 2.2 million apps in the App Store and over 2.5 million in Google Play Store. So if you’re sitting around hoping that app users will magically migrate to your app, it’s time to RETHINK. Competition is cut-throat. Before you pat yourself and move on to the next project, it is important to realize that you are not done yet. 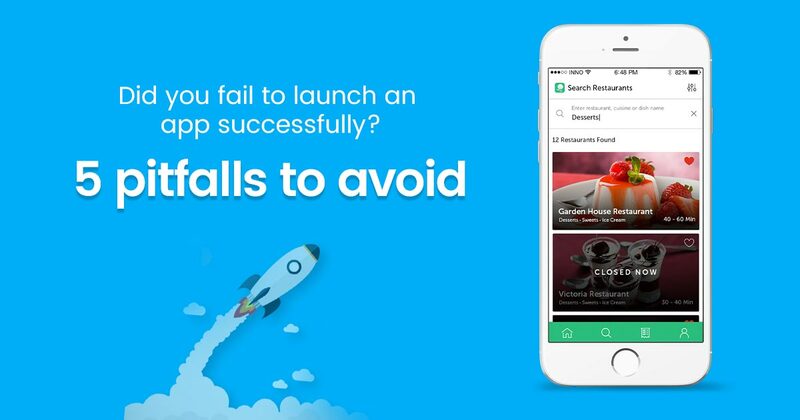 You need to know how to launch an app successfully. The other day we were discussing with our client Boris, who was fretting on his old development partner. All because his app was not performing as he expected. His app demanded some technical tweaks for obvious, and what more it demanded was a clean app launch strategy. And he was lacking them all! We not just helped Boris tweak all those technical requirements, but we guided him with an app pre launch marketing strategy. When he asked, “Do I need an app launch strategy to be successful?”, we knew Boris required a grand app launch strategy to rock the bottomline. And in this case, the basic marketing tip which we gave to Boris was to make an app that delight users consistently. And to deliver exactly the same we had placed certain systems and workflow in perfect places. A number of apps in the market skyrockets, so do the challenges for app marketers. While miraculous overnight successes do happen, take for example Prisma App launched in July 2016 and within a fortnight it became the App of the Year. And now in 2017, they are also focusing on selling machine vision tools to other tech firms. But the same does not work for all apps. Thus, you need to know how to launch an app successfully, the right set of tools and focus on the three E’s of app launch (its EVOLVE, EXCEED and EXECUTE). How to Launch An App Successfully? There are times when marketers often undervalue mobile advertising. They hardly dedicate a share of percentage. Yet in the ‘age of mobile’ apps are one of the powerful marketing tools. Studies show that 80% of the customers are ready to receive location-based alerts on their mobile phones. Thus, it makes sense to invest in geofencing and push notification in your app launch strategy. Mobile Marketing Association’s study tells that we should be spending as much as 7-9% depending on all the app involvement. Restructure your marketing budget or you will be running out of steam by the end of the year. What you need to maintain is app’s visibility in key marketplaces over the years and not just during the app launch. Research is one of the key players that help you excel in the app pre launch marketing. It let you know some great insights and the target audience as well. You can see how others have named their apps. What are the categories they are targeting? Against, which keywords they are ranking high? A correct analysis can make your app launch successful, and will get your app in front of the right audience. To get started with your app pre launch marketing strategy, have an excel sheet in hand just like the one we created below and find out where your app stands amidst the huge app population. This checklist will also ensure you to know whether you have missed any features which a similar competitor might have integrated. Another effective research method that let you know how to launch an app successfully, is to have a look at the customer review posted on the App Store or Play Store. How to launch an app successfully if you keep the marketing miles far away from your app? Companies often make the mistake and get their marketing team involved late in the product development phase. This is dangerous, as these are the people who plan the go-to-market strategies for your app. They need to understand every feature built in your app prior to the app launch. So what a basic checklist of your app pre launch marketing plan must have? We have discussed them in little details, hope this helps you to guide throughout the product development journey. Our 7 point app launch strategy has helped Boris and it worked for most of our clients (both startups and mid-size companies). Step 1. USP of your mobile, a thing that can make your app unique amidst the huge app crowd. Something that tells why your app is better than the others. Like Temple Run, which has thousands of clones, but most of them don’t sell. Once you have a list of apps you will like to dig further and will like to know how others are earning. Step 2. With 13% of the users delete their app trying after once, it is essential to optimize your app store with a proper app name. It can be a combination or branded as well as the common search terms to enhance discoverability. Step 3. Keywords help your app to get discovered faster, so it is important to choose the keywords. But carefully. This is what we tag as ASO or App Store Optimization. You cannot go wrong in it. Betcha, here are the four ways to keep your ASO high. 1. Stick to a short title. 2. Write the best description ever in first two sentences. Step 4. App Description, as I was saying allows conveying a clear message to the users through the App Store. Here’s how to impress your app downloader at the first go, says Localize Direct. Step 5. Plan a beta test for your app, as this will let you gain some valuable feedback from the early users and fix bugs if any. Your mobile app developers can even rework on certain workflows marketing your app successfully. There are a number of free tools in the market, you can choose anyone and give a test drive to your app. Step 6. To promote your app find the best channel. Have a list of the channels in an excel sheet. 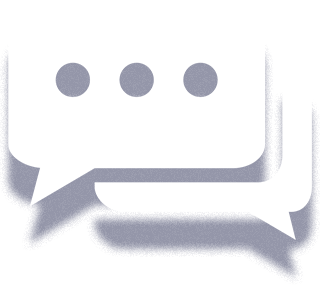 You can also use forums for marketing your app. Such as Facebook and Twitter both can be useful to garner eyeballs, prior to launch. Step 7. Have an outreach plan and to do so have app icons of various sizes, screenshots and other information about your app. Marketers know how important it is to send emails to potential users just after the app launch. As the emails need to include all the important information about the app, they do that perfectly. But what they often fail, is to personalize each email. From mobile app development to launching an app you need to personalize everything! Coming straight to the point – Why do they fail to resolve this issue? Might be they are not having the reviewer’s name or correct email ID. And if you want to add the same, you need to cross-check and do not copy paste information without looking into it. Reviewers will not give a second look if it is addressed in the most improper manner. Push notifications are no doubt one of the great channels to remind users that they should be using your app. Such as news of re-launching the app, sending a text, taking a photo etc. But at the same time, it is important that you do not bug your users too much. You must know where to draw a line. Since too much of bugging might make your app get uninstalled from the user’s device, no matter how good it was. So plan your push notifications carefully and allow users to turn them on/off whenever they want. Make sure you keep time zones in mind while you send a push notification to the user. What could be the better way to engage more users in your app? Let the experts speak for you. What is the right formula to achieve better user engagement for mobile apps? When we see other people using an app, we are more likely going to use it ourselves. With social media, we get the proof and resolve uncertainty thus making apps go viral instantly. The integration of social media channels help users sign up from their accounts directly, so no wasting of time registering details further. They get access to friends and can suggest them to use your app acting as a referral point. Don’t you think that this can easily spread the word of your app in minutes and can take a toll on the app downloads as well? So can you keep this out of your app launch strategy? You can motivate users to share more about your apps and grow their network. Let them invite people to join your app. Say if your app has received an award for the design and it is featured in some tech magazine, mention that in the app description page. Quoting the source of the news adds reliability to your social proof. Target influencers, journalists, and celebrities through your app, especially the users who have the most connections as social proofing will lead to the growth of app revenue. So Are You Ready To Make Your App Viral? A great idea, connect all the missing dots while building an app, this is just the beginning. To make your app launch strategy work for a long time you must stay aware of the ways to improve it consistently. And you can do that if you have a full-proof app pre launch marketing plan in your hand. With an app ecosystem evolving every day, the marketers need to stay on top and avoid these common pitfalls to increase the chance of app success. Editor’s Note: This post was originally published on Dec 19, 2016, and has been updated for accuracy and comprehensiveness. WHAT AN APP DEVELOPMENT WOULD COST YOU? Looking for app cost details? Hope this quick cost guide helps you.